Stoven Hall Vets welcomes all small animals, from dogs and cats to rabbits, hamsters and more exotic species at our clinic. Electronic scales weighing from hamsters to Great Danes!! 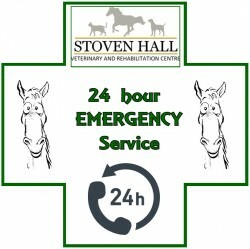 Clinic based emergency cover, 24 hours a day, 7 days a week.